Photographers are always looking for something new to invigorate their photography. Sometimes visiting the same old haunts or taking the same types of photographs can get stale. When I mention that I love visiting historic cemeteries, I get quite a few strange looks. Some consider it a bit morbid. Others, uncomfortable with the subject of death, can’t seem to fathom going to a cemetery unless they have no choice! Suffice to say that the notion of visiting a cemetery is not usually at the top of people’s “Things I Would Most LikeTo Do This Weekend” lists! It may be that having a cemetery just beyond my backyard fence or being within a 5 minute walk of another for much of my youth caused me to think of and look at cemeteries a bit differently than most. I never considered them spooky, haunting, or intimidating in any way. To the contrary, I was always fascinated by the older gravestones and more elaborate sculptures. I found cemeteries to be peaceful and calming – quite the opposite from how many are portrayed in television and films. Cemeteries have always been some of my favorite place to jog or walk, since they tend to get very little traffic, almost all of which is moving at a snail’s pace. I found that reading the various gravestones and contemplating the lives of the departed seemed to take my mind off whatever ache or pain I might have had at the moment. When I rekindled my passion for photography in 2008, I naturally gravitated (no pun intended!) to some of the more scenic cemeteries around our home and along our travel routes. The best place to begin is near your own home. Most cities and towns in the United States have been in existence in some form for 100 to 250 years or so in the USA. In many other parts of the globe, cities and towns are much older. Many cities in Europe can trace their roots back thousands of years. Regardless of where you live, there is a good chance that there is at least one old cemetery that can trace its roots back to the founding of the town. Most towns have multiple cemeteries that fall in to the historical category. You don’t often need to travel very far outside the city limits to find these hidden jewels. For obvious reasons, cemeteries were located relatively close to the cities and towns they served. Even in the sprawling metropolis of New York, you are only a half-hour drive from downtown Manhattan to the famed Green-Wood Cemetery, located in Brooklyn. Some cemeteries have capitalized on their historic nature, becoming tourist attractions, selling merchandise, conducting guided walking tours, creating virtual online-tours, and even developing smartphone applications that provide information for self-guided tours. Your local cemetery may not be developed to such an extent, but may still contain a quite a bit of history in its own right. Entering the name of your city and the phrase “historic cemetery” into your internet search engine should be enough to help you find a number of cemeteries nearby. Chances are you will quickly find one or more cemeteries in just about any city. Historical societies are also likely to have information regarding older cemeteries, since it is not uncommon for them to be on the National Historical Landmark registry, maintained by the National Park Service (or your country’s equivalent). I recently did a search pertaining to my neighborhood and discovered a cemetery founded in 1815 – within a few minute drive of our house. You may not be quite as fortunate to find something this close, but if you do a bit of searching, you will likely find some historic cemeteries located closer to your home than you might think. 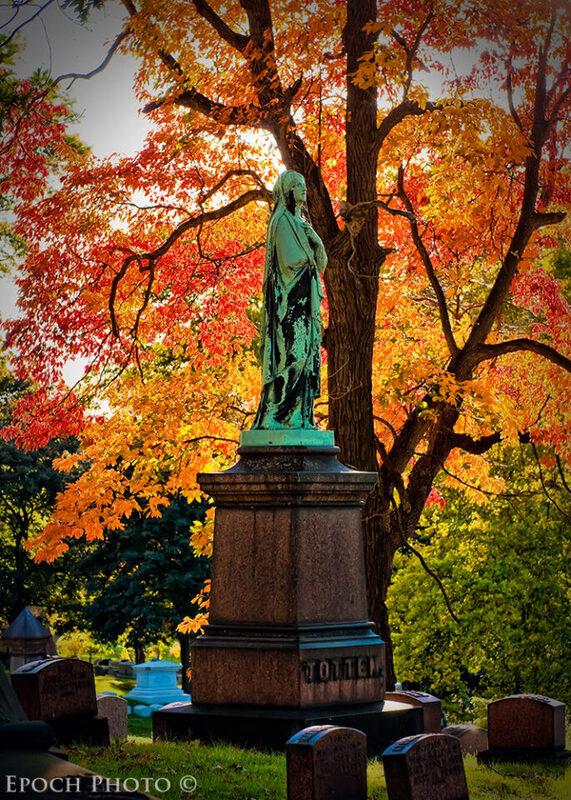 We are extremely fortunate to live close to Allegheny Cemetery, the sixth oldest rural cemetery in our nation. It is the final resting place of some of Pittsburgh’s most famous citizens, including Steven Foster (song writer), Josh Gibson (baseball player), Ebenezer Denny (American Civil War Soldier and first Mayor of Pittsburgh), General James S. Negley (Civil War and Congressman), Lillian Russell (singer and actress), General John Neville (American Revolutionary War) and many others. Allegheny Cemetery was featured in the PBS documentary, A Cemetery Special, narrated by Pittsurgh’s own Rick Sebak. 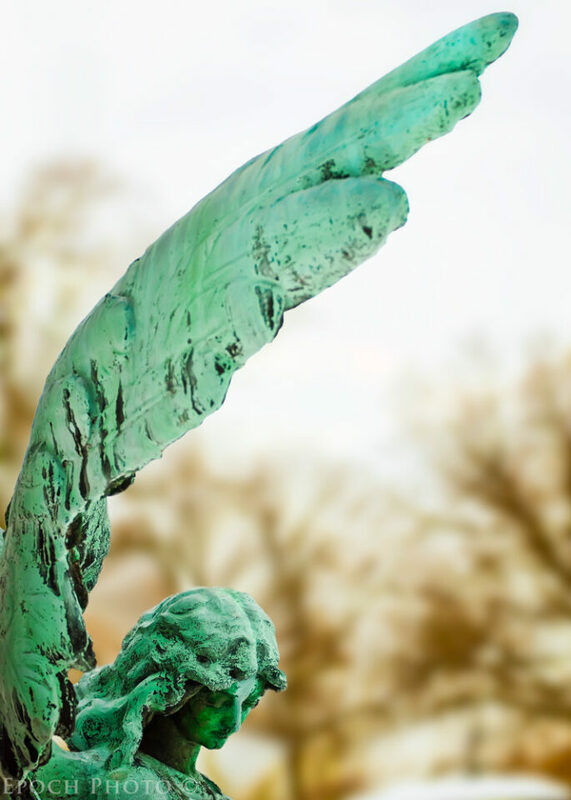 Many of the granite, limestone, and copper sculptures are simply breathtaking. Quite a few graves date back to the early 1800s. Some of the cemetery’s residents were originally from other graveyards in the Pittsburgh area and were moved with the founding of Allegheny Cemetery. A number of these individuals died during the late 1700s. 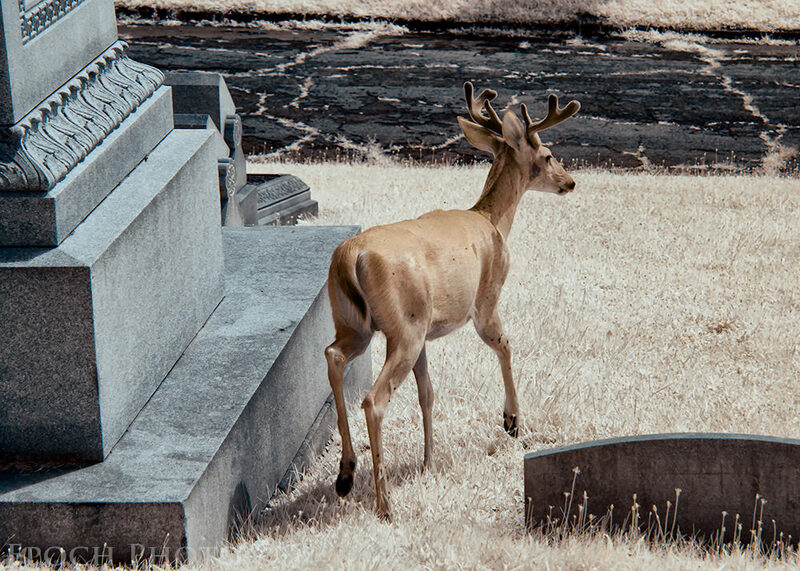 The approximately 300 acre cemetery has become a wildlife sanctuary as well, providing safe haven for a variety of deer, groundhogs, fox, red-tailed hawks, crows, chipmunks, and other species. 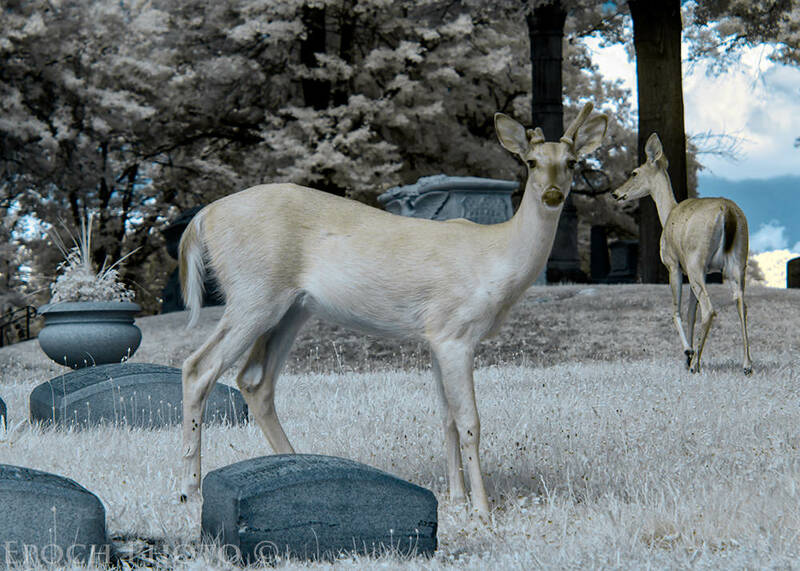 It is not uncommon to see a herd of deer calmly walking through the cemetery feeding on grass. 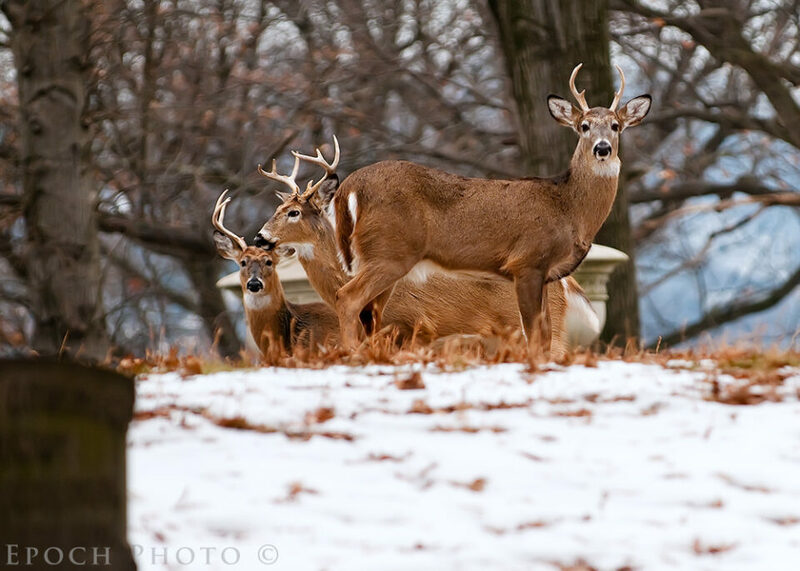 During the warmer weather, deer may take shelter in the shade of larger memorials, seeking escape from the sun’s rays. They are quite used to being around people and will simply watch you walk by. It is difficult not to be moved by the impressive array of gravestones and sculptures, and the sheer amount of history represented by the cemetery’s many inhabitants. 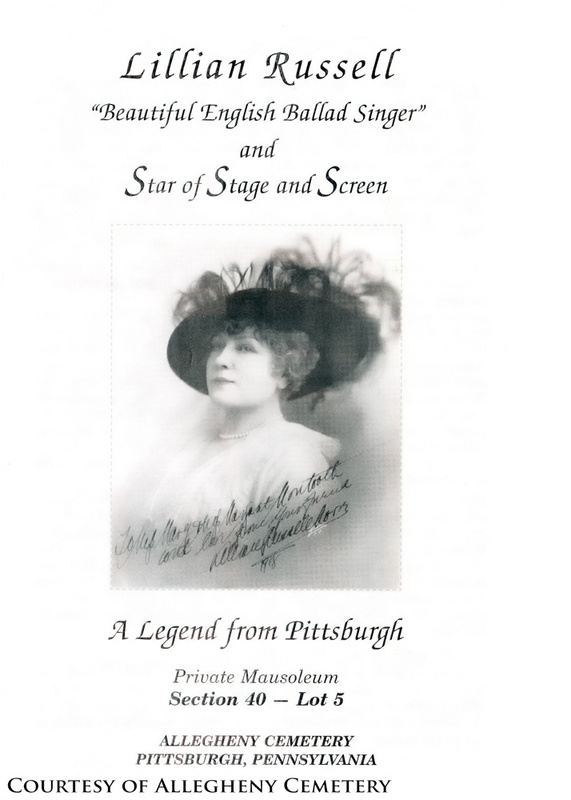 Despite our many trips to Allegheny Cemetery, each visit is a learning experience, whether it is the discovery of an interesting gravestone previously unnoticed or finding the resting place of a historical figure. Nowadays, it is hard to find anything that has not been photographed by someone at some time. There are some upsides to this, as you can often conduct a “virtual visit” to an area by perusing photos on sites such as flickr, smugmug, 500px, or the website associated with a given cemetery organization. Regarding the cemetery near my house (mentioned above) I found someone had created a website that outlined its history. This in turn led me to a local amateur who had a number interesting photos on flickr, enabling me to quickly get a sense of the photography potential from the comfort of my home office. 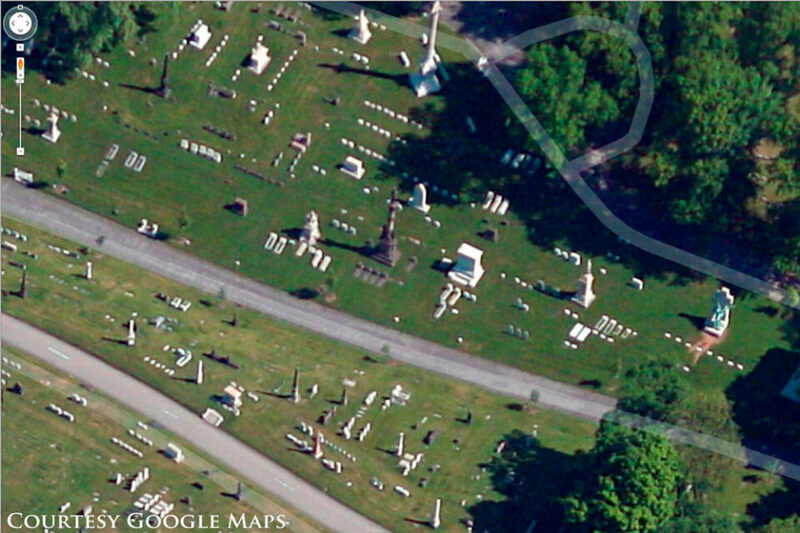 For some of the more popular cemeteries, websites can be treasure troves of information. Even smaller cemeteries, such as the one I described as being near my home, may have websites created by a local resident who simply wanted to document the neighborhood’s history. It may come as a surprise to some, but many of the popular historic cemeteries have walking tours and strongly encourage people to visit. If that seems difficult to believe, how about a band, music, dancing, actors, and food in the middle of a cemetery? It’s true! Allegheny Cemetery will host Doo Dah Days, a celebration of Stephen Foster’s life and music this coming Saturday. Some have pathways – most often grass but sometimes stone – between the graves specifically designed for walking tours. 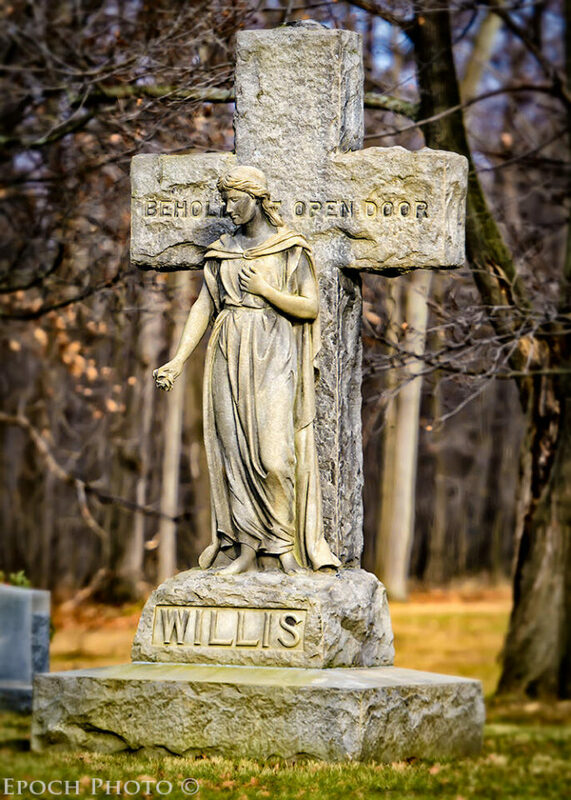 Even the lesser-known cemeteries often make their presence known via historical societies and also suggest that people stop by and explore their grounds. The larger historical cemeteries likely have offices staffed with employees or volunteers during weekday business hours and perhaps on weekends as well. It pays to call ahead of time and mention that you are planning a visit. Ensure that you ask about and understand the cemetery’s policies and guidelines. When I contacted the Allegheny Cemetery office, I was greeted by Debby, a very friendly staff member. I had called regarding a recommendation for stone repair craftsman. When I mentioned that I was an amateur photographer, Debby shared some helpful information regarding the policies for early weekend access, upcoming tours, and even offered me some advice regarding the location of a mother fox and her pups that had taken up residence on the corner of the cemetery, and some information regarding the local deer population. Debby also advised me to stop by the office for a visit, and take a look at the array of maps and other literature highlighting the history of the cemetery and stories of its more famous residents – all free of charge. Fall is my favorite time to visit cemeteries, since many of the older cemeteries have large, mature trees with a diversity of foliage colors. Winter months are special because the sun never gets too high in the sky, so you often get direct sunlight on your subjects without the harsh shadow effects associated with the summer months. 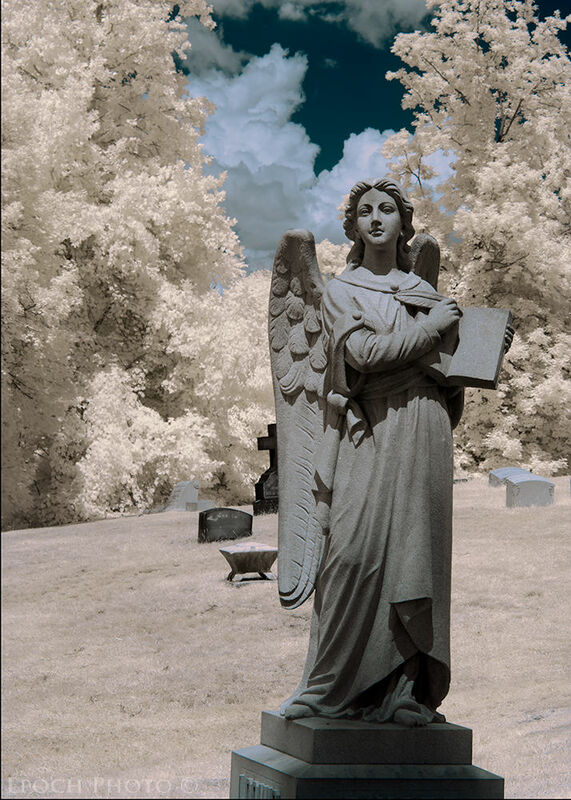 Summer is the best for infrared photography, since the lush vegetation of the cemetery is perfect for reflecting infrared light. 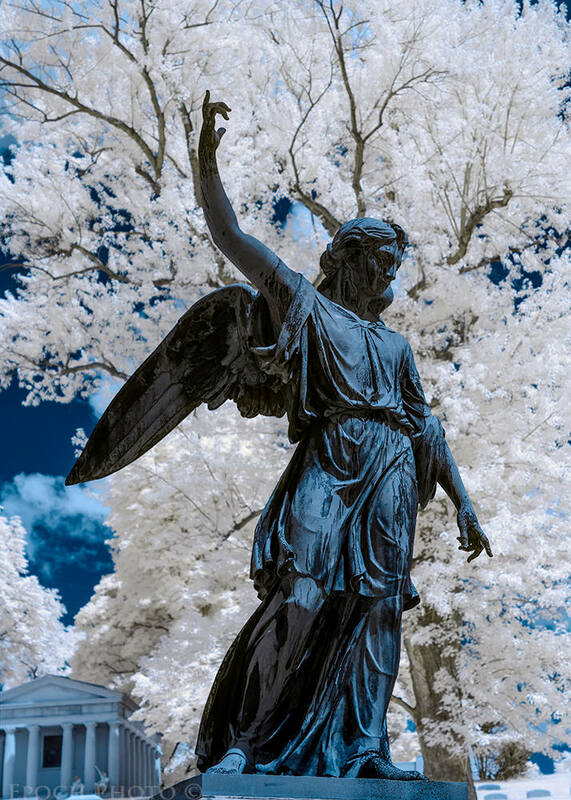 For cemeteries with flowering trees, such as white and pink dogwood, Spring can provide some stunning contrasts between the rebirth of spring flowers against the backdrop of 200 year old statues and headstones. I usually carry my trusty Nikon D800. On sunny days, I always bring my infrared-converted DSLR and 16-85mm lens. If I had to take one lens for FX, it would be a 24-70mm or 24-120mm. For DX, the 16-85mm range is ideal. 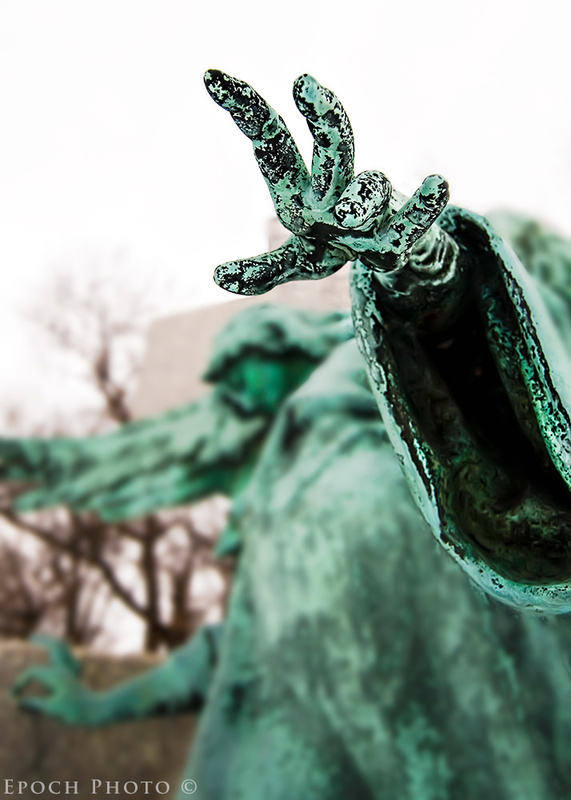 If you really want to add some drama, a fisheye, 16-35mm (FX), or 10-24mm (DX) will provide some interesting distortion effects for close-ups of sculpture and gravestones. I usually bring a backpack with me and carry a few lenses, a reflector, a flash, and on rare occasions, a tripod. 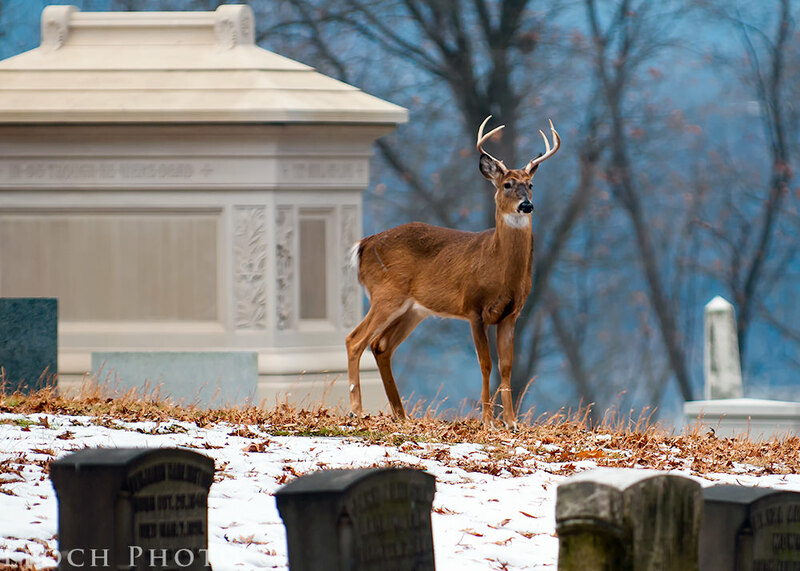 If the cemetery is known for its wildlife population, a longer zoom such as a 70-200 or 70-300mm may prove useful. 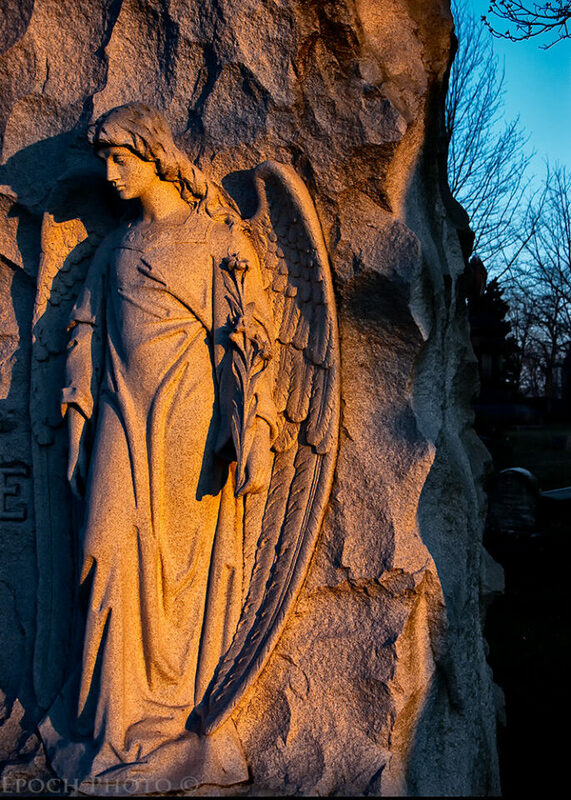 Dramatic light is always a welcome edition in any photography setting, but perhaps even more so for great cemetery shots. Planning a trip at daybreak or sunset can improve your odds of capturing some interesting photos, since the gravestones can cast very long shadows. Once you make a few trips to the cemetery, you will soon get a sense for where to spend your time throughout the day. 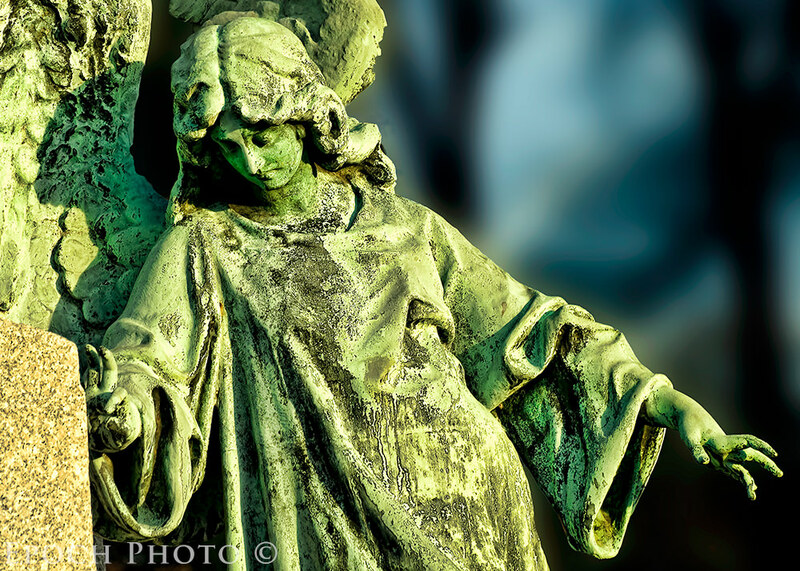 Shooting at different angles can also add a bit of flair to your cemetery photography. Angling the camera up from your feet using a wide angle or fisheye lens can distort perspectives and accentuate portions of the statue or gravestone. Using a fast lens such as f/1.4, f/1.8, or f/2.8 can throw the background out of focus and create some very moody images. Fast lenses are a favorite of portrait photographers, but they shouldn’t be overlooked for other situations as well. Bring a reflector with you. The sun may not always be in the position that provides the best light on your subject. A 32 inch collapsible reflector can do wonders to cast some extra light onto a headstone that is covered by a huge tree.If you are into or considering infrared photography, cemeteries can some great opportunities, particularly during the dog days of July and August. Since infrared light renders the lush grass and large mature trees yellowish/white, and stone and other materials a dark brown, you can easily create scenes with striking contrast. During the summer months, if you are fortunate to encounter some cumulous clouds and a bright sunny day, and you can create stunning photos during the very hours when most people with regular cameras have stopped shooting. I don’t often bring my SB-900 flash, but it can provide some helpful fill flash if put on manual using a lower power settings. 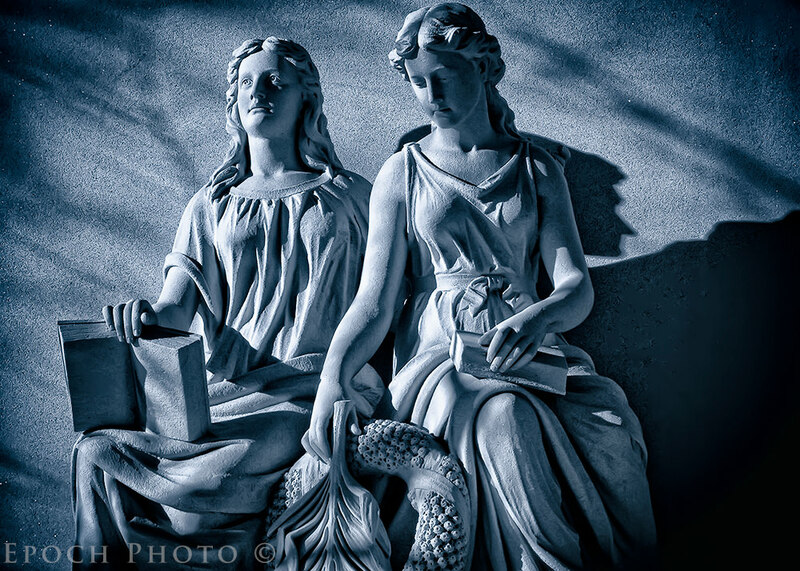 Using it at full power on a select subject, such as Cherub sitting atop a headstone, can also create a bit of moody “moonlight” effect. If, like many serious amateurs, you integrate some photography excursions into your family vacation plans, consider searching for some historical cemeteries in the area of your vacation destination. My wife, Tanya, and I like to visit some of the wineries located within a few hours of our home. During one of our visits to New York State’s Finger Lakes region, I came across Glenwood Cemetery, founded in 1872, in the town of Geneva. Glenwood has some amazing sculptures and unique gravestones. It is located within a 2 minute drive of the famous Belhurst Castle resort and winery, one of our favorite places to visit. On another wine-tasting trip, Tanya and I made our way up to the Lake Erie Wine Trail, which straddles the borders of New York and Pennsylvania. We did a bit of research prior to our trip and were surprised to find that Lucille Ball (of “I Love Lucy” fame) was buried just a short drive from our Lake Chautauqua hotel. 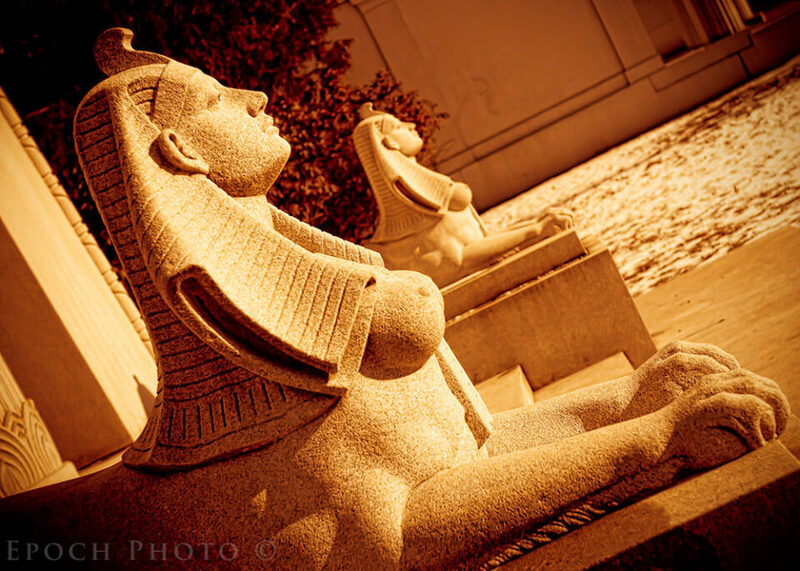 Lucy had originally been buried out in the famous Forest Lawn – Hollywood Hills Cemetery, in Los Angeles, CA. At the request of her family, her body was been moved back to her hometown of Jamestown, NY, in 2002, and buried in the family’s plot in the Lakeview Cemetery. We found another historic cemetery, Old St. James, which had some stunning gravestones dating back ~200 years. It was located on our route to one of the area’s most popular wineries, 21 Brix. 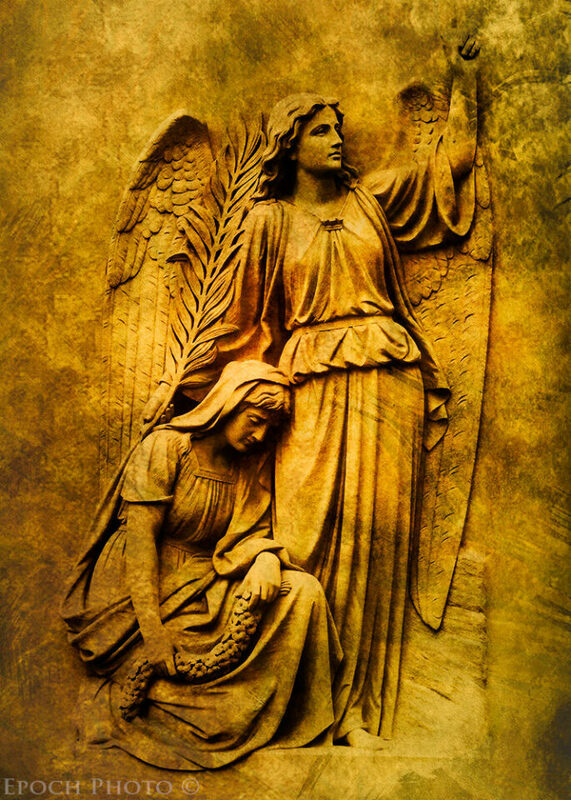 Historic cemeteries offer a unique combination of art, atmosphere, and history. Consider exploring those in your neighborhood first, and incorporating some visits to those cemeteries that may be along your travel or vacation routes. Always be respectful of the resting places of your fellow man and policies of the cemeteries. With a bit of preparation and experience, you may find quickly find yourself becoming a frequent visitor and taking some great pictures. 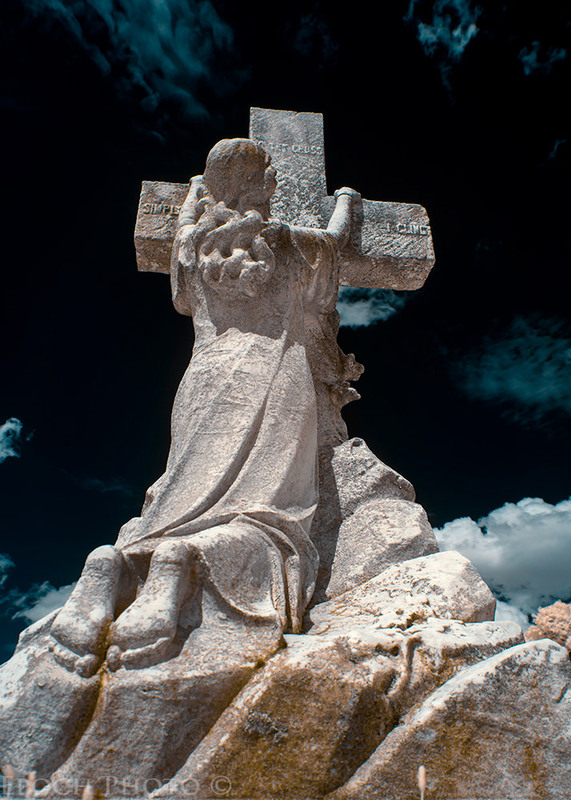 I fly to Argentina to photograph Recoleta Cemetery where Evita is buried. I love it. It’s not freaky, it’s timeless art and you don’t have to say stand still. I just looked over some of the photos of Recoleta. Very beautiful. Great article, Bob. I live in eastern Massachusetts and have great access to historic graveyards. I’ve taken shots in many of them over the years but tend to favor one in particular in the town next to me. It’s an old cemetery with a small old chapel right on the grounds. The chapel is opened for special occasions like a funeral or, occasionally, a wedding. This is the first article I’ve ever seen about photographing cemeteries. It’s nice to learn I’m not alone in my pursuit of interesting photographs in old cemeteries. The article, your pictures and your references to other websites on this subject gave me a great deal of helpful information. Your shots are definitely inspiring. Thanks for sharing so much information. Thanks, John. I have not been to cemeteries up your way, but I understand you have some of the best in the US. Share some links when you have a moment. Bob – The only way I have of sharing photos with you would be attaching a few shots to an e-mail or making a few prints and mailing them to you. I’m 70 years old so my electronic sophistication doesn’t go much beyond the basics. Let me know if either of these two ways work for you. You have some great photos. I understand the cemeteries of New Orleans are very interesting, and have been in more than a few movies as well. There are many graves below ground in New Orleans. Most are above ground due to tradition of the Europeans who settled there. 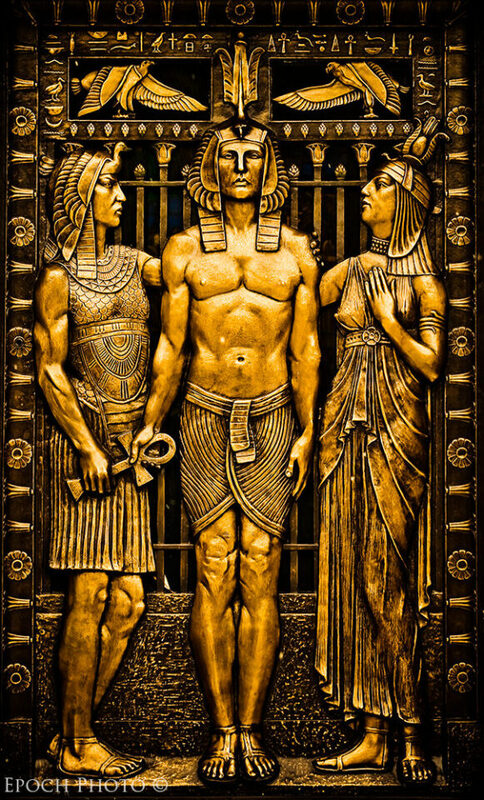 If you google ‘New Orleans graves’ you will find plenty of sites explaining this fact and you will find why many names are on a small crypt door. Nice article, and great shots, Bob. I live in the St. Louis area. In north St. Louis, there is Bellefontaine Cemetery, built in 1849. It’s the resting place of many famous and wealthy St. Louisans. People like William Clark, Adolphus Busch, Eberhard Anheuser, William S. Burroughs, and many others are buried here. I do like going there to shoot. I also make an annual trip to visit a sister and family out in Silver Spring, MD. I try to visit the various DC sites, including Arlington National Cemetery. I usually go there every other year….think this year I’ll have to go back. I really like shooting there in the fall (when I go) with the fall colors. One cemetery I also like that I’ve been to many times is the old Jewish Cemetery in Prague. I lived and worked in Europe for 4 years. Each of those 4 years, I went 4, 5, or 6 times to Prague just for a long weekend, and I almost always went to this cemetery. No one knows how many people are buried here, but apparently some 12,000 are visible, yet it is believed maybe 100,000 in total are buried here. Many graves are stacked on tops of otherse. The oldest known grave is from the early 15th century. The last known person buried here was in the late 1780s. It’s a fascinating place. Yes, cemeteries are very interesting places to shoot pictures in. There are so many fascinating cemeteries. Arlington is indeed one of my favorites. Funny that you mention Prague, since I was just looking at the cemetery you mentioned. Quite a story behind it. Great article, couldn’t agree more on the interest and potential to be found in some of America’s historic cemeteries. If you haven’t visited Boston’s Mount Auburn Cemetery you should put it on your list for a weekend getaway. It is listed as a National Historic landmark. Great monuments, trees and grounds. Fabulous photos. I too love visiting old cemeteries when I can, which is not often, but I find them fascinating and so filled with human and nature’s artworks. 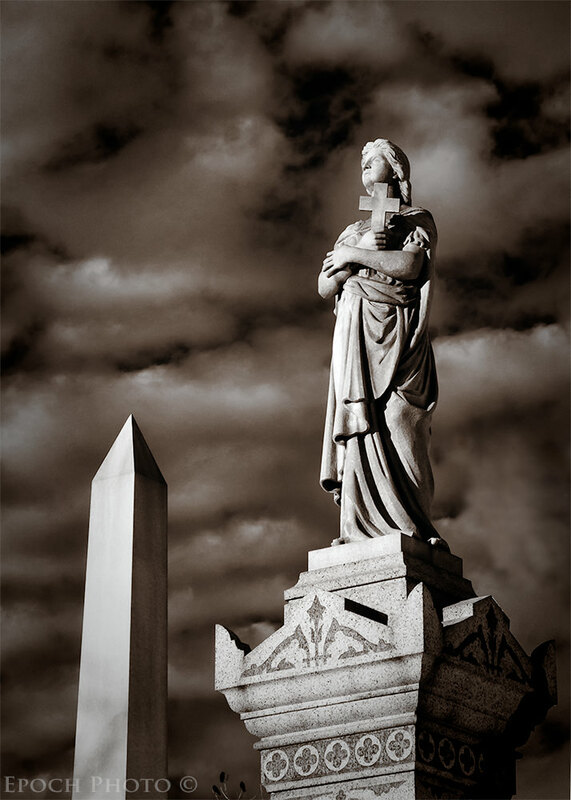 Have you been to some of the old cemeteries in New Orleans? Thanks. I have been to quite a few places in the US and around the globe, but New Orleans has escaped me thus far. I hope to get there someday. The cemeteries are legendary and quite a sight from the photos I have seen. 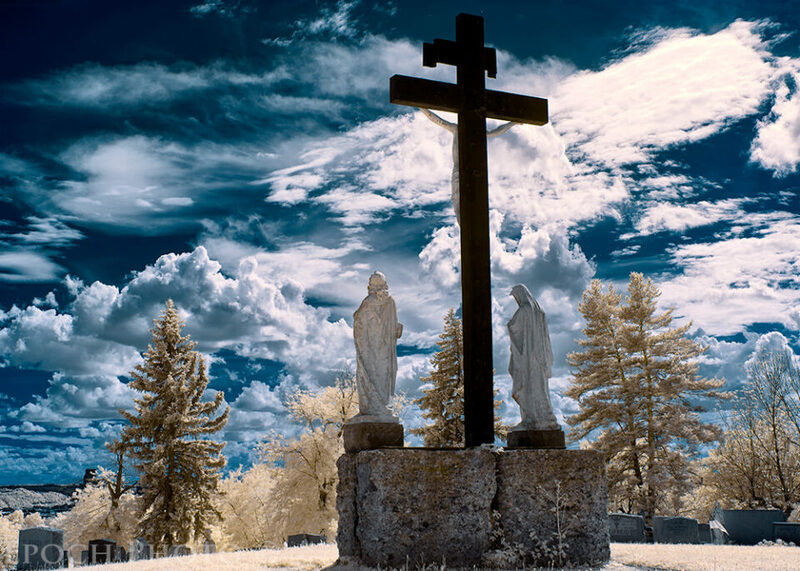 great photos but dou you think cementerys are a beautiful place ? it s terror surrondings !!! hey bob are you thinking to stay at night in a cementery for a camping time ? show me your night photos !!! I think most cemeteries are pretty strict about keeping the living out after sunset. The only campers are the ones there permanently! ;) I have been in a few cemeteries after hours however, and surprisingly, am still here. My Brother-in-law installed them for a living and told me a lot of interesting stories. Once, he was in a cemetary in a college town and came upon a young couple, coupling in what they thought was the most private place to be had! Thanks, Bob, for this very detailed and inspiring article! As you said properly, cemeteries are a difficult topic for someone desiring to share his own photos. Nonetheless, I love to wander among those old stones, thinking about the sense of life and death and, at the same time, admiring how men, in different decades, have wanted to celebrate the meaning of that passage from this dimension to another unknown and somehow scaring. In Italy, we have some amazing monumental cemeteries: the most famous ones are probably the Monumental Cemetery in Milan and the acatholic cemetery in Rome, where some important people are buried as Keats, Shelley or the italian intellectual and politician Antonio Gramsci. I’ve taken shots in both the places and I’d like to share with you…I hope it’s not against the policies of this website or blog. Thanks for your tips, I hope you could have the chance to visit an italian historical cemetery! It is very humbling to walk through old cemeteries and imagine the lives of those that have gone on to the next life, and consider the circumstances and times in which they lived. I have been to much of Europe, including Milan, but would love to revisit with my DSLRs. Thanks for sharing your links. You have some beautiful cemeteries and photos of them. Bob, this is the official website of the protestant cemetery in Rome. It could be useful for a visit in the eternal City. Thanks again. The Monumental Cemetery of Staglieno in Genoa (Italy) is one of biggest cemeteries in Europe with marvelous marble sculptures beginning from 1850. Click on “Il Cimitero” and go to the various sections. At the bottom of each section is a link to a map in jpg with some english text. A good database is also the website www.significantcemeteries.org/ of the Association of Significant Cemeteries in Europe (ASCE). Excellent links! Thanks for sharing. Thanks for a fine post, and to comments for adding. 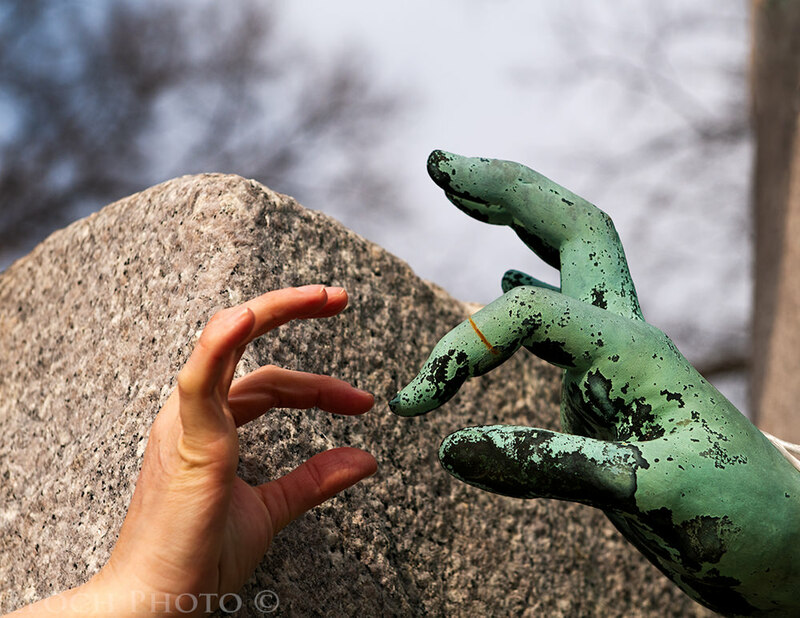 I shoot in a couple of Toronto’s older cemeteries: Mount Pleasant and St. Michaels. These perspectives and post-processing techniques give me some new ideas. Since the monuments exist to memorialize and idealize, it’s interesting to see that most shooters respectfully follow suit. Somewhere along the line I began to take more interest in the effects of weather, breakage and sadly vandalism on a number of monuments, along with some of the less impressive little markers for little people, and began shooting from an “Ozymandias” state of mind. There are many touching grave, not all of which are the most elaborate. Some of the weathered limestone headstones remain the best for showing the ravages of time and sense of history – far better than the perfectly inscribed granite that show little wear after 100-200 years. Pardon the pun, but this subject matter leaves me cold. Personally, I cannot see myself wandering through a cemetery looking for photo opportunities. I’d rather just let them rest in peace. Thanks, Kim. Look forward to seeing your photos sometime soon. I live in Williamsburg, Virginia and my favorite cemetary is the Hollywood Cemetary in Richmond, Virginia. It has been around since before the Civil War and many notable persons, including 2 Presidents, are buried there. The statuary is particularly wonderful! Give it a try if you’re down this way. My wife and I visited Williamsburg 2 years ago. The town and activities kept us pretty busy so we didn’t venture out into any of the local cemeteries. Will make it a point to do so on our next visit. Love the article Bob. An interesting read, and some wonderful images you have there, especially the IR ones. I find it a cathartic escape from the present – gazing back into history, and immersing yourself in the reality of life and death – the sense of sadness of a child’s grave, or the achievement of a long life well lived. Our cemeteries here are not as old as some, but still interesting. I did have the opportunity to visit Glasgow’s fascinating Necropolis while in the UK several years ago. I hadn’t started my DSLR journey back then, so only had a P&S. That trip was a catalyst for me wanting to pursue photography seriously as hobby. I’d love to go back with a good camera & some nice lenses. Here a some examples of my efforts at a local cemetery, plus a couple from Glasgow in there as well. nice article . can i do this with a point and shoot camera? Thank you. I don’t see why not. You may have to do some post-processing work, however. This article is so timely. My daughter and I returned recently from our first trip to Paris and was told in advance from friends that I had to visit a cemetery while there since I love photography . Coincidental, our hotel was just down the street from the Montmarte Cemetery and it was quit beautiful. I was able to get some wonderful shots, I even captured a photo of the statue shown on the fof their website. If given an opportunity I would defiantly recommend taking some time to visit. Thanks for sharing this. I would love to go back to Europe now that I have my DSLR. I saw some beautiful old cemeteries and castles. They are somewhere in 3 foot box. I haven’t had the courage to dig through them all yet! Please share your pictures when you have a chance. I’m like you, Bob. When I lived and worked in Europe for 4 years, I figured I shot something like 400+ rolls of film in total, or 100+ rolls a year. I’ve started putting some in photo albums, but I have a ways to go…..most of them are in boxes! But, from the other 16 trips I’ve made to Europe on vacation, most of those are happily in photo albums. Last time I went to Europe was in 2004, and I do have a number of digital pictures, but they were from my first digital “trial” camera, a Canon G3 point and shoot. I’d really like to go back with my D600. In a few weeks, I’d probably take just as many pictures as I did with a film camera in the 4 years I lived in Europe! Great article with beautiful photos to accompany it. 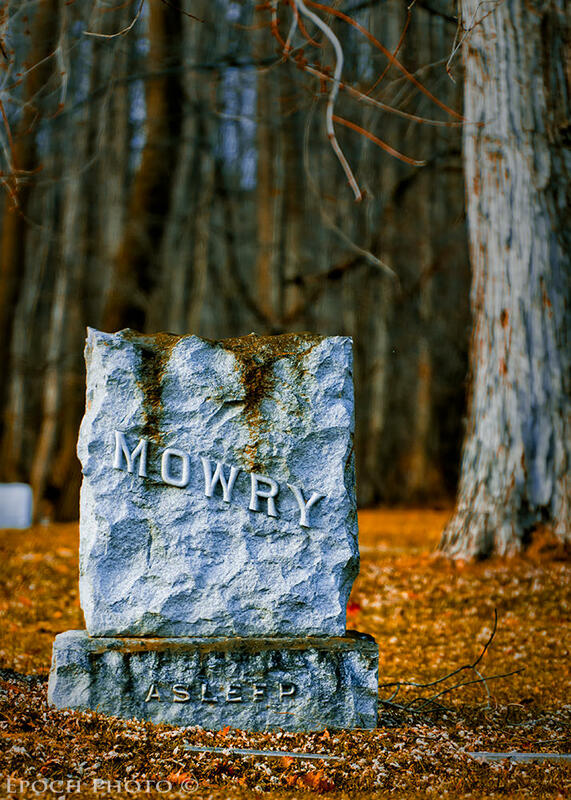 I love photographing cemeteries. I live near an historic cemetery which is part of the Saratoga National Historic Park and I’ve brought my camera there a couple of times. Nice article Bob, it’s been a while since I was out photographing the historic cemeteries here in Yreka. You’ve inspired me to get out and explore them again. Thanks, Jason. Please send some links along! Bob here is my latest effort from Sunday evening. I enjoyed the evening spent walking around the peaceful setting of the Yreka Evergreen Cemetery. Not nearly as dramatic as some, but I still ejoyed the difficulty of composition etc. Very nice! Thanks for sharing these. Culp’s gravestone has quite a bit of character. Thanks for a very interesting article on cemeteries. Here in New England nearly every town has an historic cemetery to visit. One of my favorites is the Hope Cemetery in Barre, Vt. It’s not as historic as it is unique! (Check it out on Google Images.) One that we visited recently is the Novodevichy Cemetery in Moscow, Russia. (Google images) It was far more fascinating than we thought it would be and a must see if one ever visits Russia. Thanks again. Thanks for commenting. My wife is from the former USSR and visited this cemetery, although she was too young to remember much of it. The photos I have seen are fascinating! Hope Cemetery looks like it has some stunning headstones as well. Hello, i love the pictures but just wondering if these are infared. Some are indeed, as the article describes. 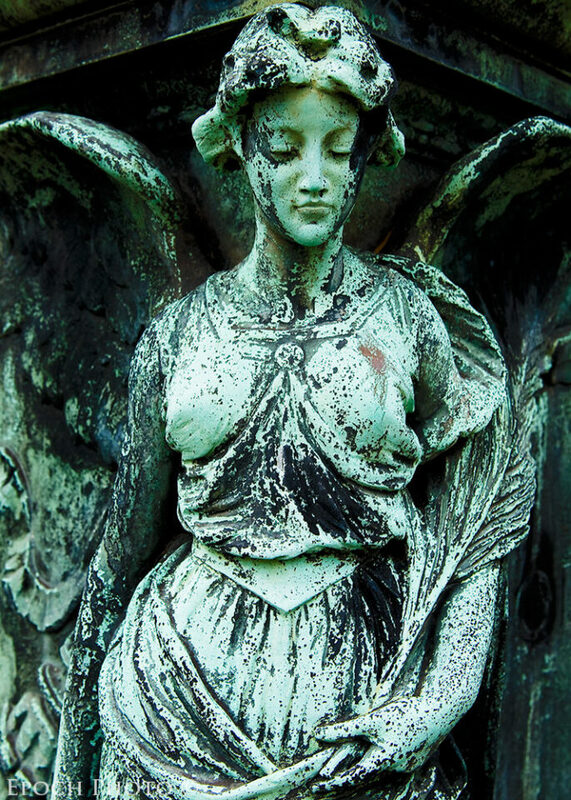 Stunning cemetery pictures. I love the IR photos. Tried to capture the heavy mood at a local military cemetery (WW I and WW II) myself some time ago. Your effort displays that I still got a long way to go. Your photos are wonderful! 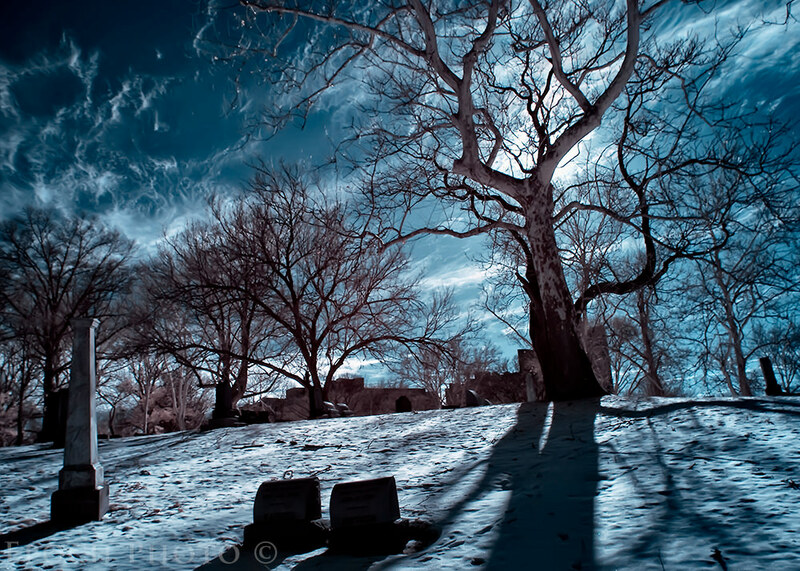 Very moody cemetery, made all the more impactful by the winter setting. Nice work! After reading your inspiring article I`m probably gonna give it another try in autumn. Loved your article and even more so your photos. to taking fall and winter time photos. Glad you enjoyed the article. We hope to get up to the finger lakes sometime this fall or winter. Since I started actively looking for historic cemeteries, I have been amazed at how many there are. 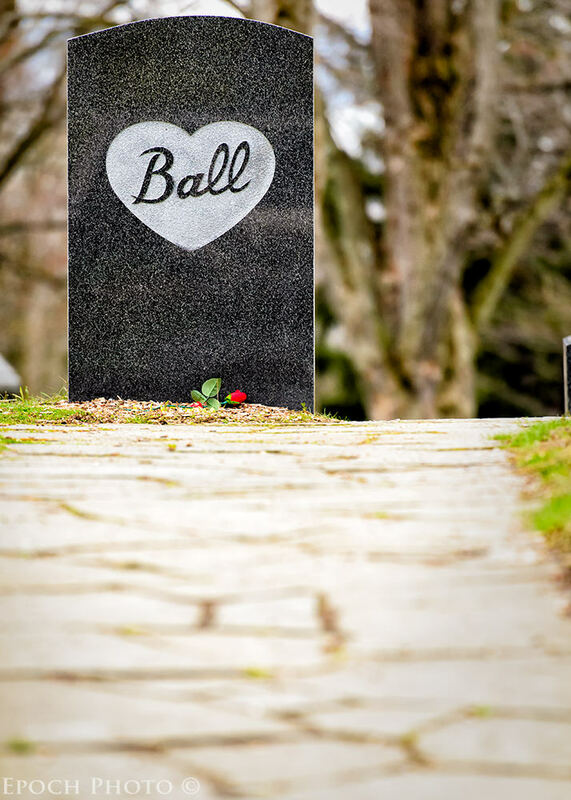 What a great article, loved the perspective of another cemetery photographer! I enjoy exploring cemeteries, the stories the headstones often tell give you a snapshot into the past. Beautiful work and your IR shots are amazing. Thanks, Leann. Glad you enjoyed it. Good luck, Leann. Look forward to seeing some of your pics from your converted camera. Very nice pictures and great article. For beginners like me these pictures and documents are very much inspiring. I am planning to buy an IR filter. I am not sure on which nm is best suitable for me.I have Nikon d3200 with 18-55, and 50mm. Was reading many articles and muddled to choose one. Your advice please. I found your site today while I was going through some photos I took last year in a very old cemetery in Little Compton Rhode Island near where i grew up. Since it is the 4th of July week-end I posted my photos on facebook of the revolutionary war and other war gravesides dating back to the 1600’s. 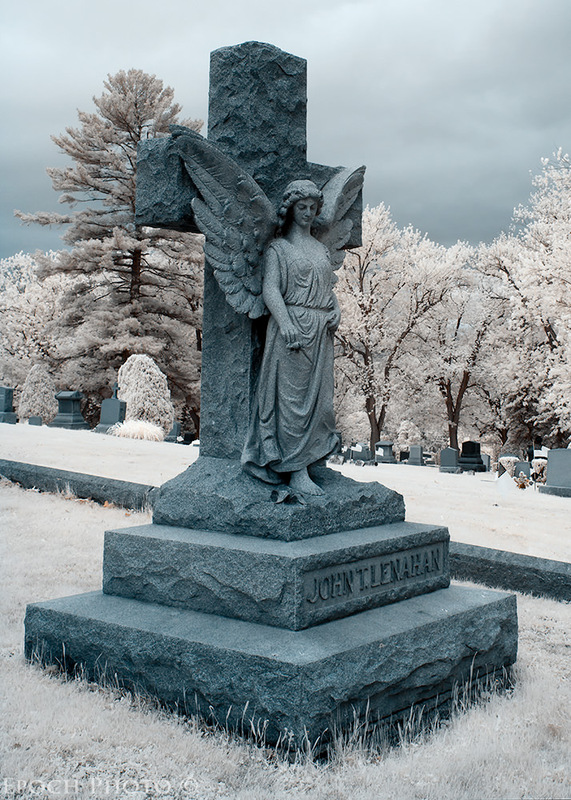 I am an interior designer by trade but find going to cemetery’s with my camera comforting and peaceful and always have. Sorry for the late reply. I am an amateur as well. Our site has lots of articles and helpful tips for learning all things about photography, so keep reading and get out to practice often! Indeed, not everyone understands the appeal of old cemeteries. I suspect my having one right behind my backyard, and my reading all the “Green Knowe” books likely made some impression on me! ;) Send me invite on facebook when you have a chance – bvishneski. I would like to see your photos. Hey Bob, I found your article while doing a Google search for “Cemetery Photography Tips” as I’m looking to step up my knowledge, and develop better skills when it comes to cemetery photography. I’ve been photographing cemeteries in various forms for the last seventeen years. I originally started with a basic point and shoot camera. I recently bought my first DSLR which was a Canon EOS 70D. Being that I have no experience shooting with any type of DSLR, and I’m thirsty for knowledge. I found this article to be really thought-provoking and helpful in giving me some tips and ideas on how I can improve my photography using a DSLR camera. I love to travel and while I’ve photographed cemeteries in the US, Europe and Japan, I’m wondering if most countries are ok with people photographing their cemeteries. Do you know if any cultures where it is forbidden? If you search Tumblr, Pinterest, or Flickr, you will fund thousands of photos of beautiful cemeteries from many nations. As always, you should do some research into local culture as well as specific rules associated with each cemetery before your visit. Wow! Your photos are truly spectacular. Thanks for sharing the link with me. Thanks, Loren. I will post a few pictures on the site.